The Kids Texapore Snow Glove from Jack Wolfskin will keep your kids' hands dry and warm while they're romping around in the snow. These gloves are ideal for winter sports–and snowball fights. 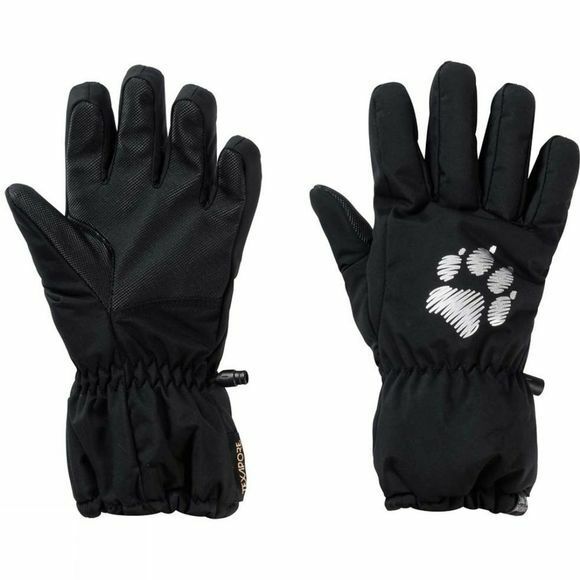 They are made of robust, waterproof and windproof fabrics, combined with very warm synthetic fibre insulation.Because the palms are subjected to the most wear and tear, we've reinforced them with a special abrasion resistant fabric. The snug-fitting cuffs keep the snow out–a handy feature when they're up to their elbows in the stuff! The reflective paw print on the back adds a cute little detail.